As crazy as it sounds, fall is right around the corner. What’s your strategy for post-harvest fertilizer application? 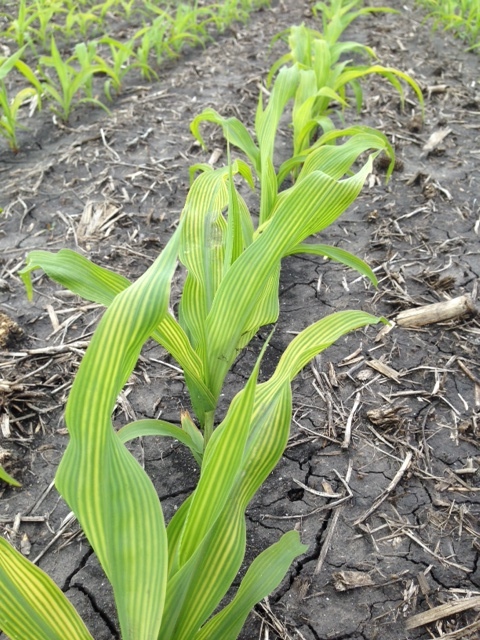 We’ve been getting questions about sulfur application as farmers look for their best options. If you’re thinking about sulfur, here are four things to consider to ensure the most efficient use for next year’s crop. Corn, alfalfa, and canola have shown the greatest benefit to fertilization of sulfur in Minnesota. Applying ahead of, or in the case of alfalfa to an established stand, make the most sense economically. Small grains have shown a potential for response on soils with low organic matter (3.0% or less) while soybean responses have been inconsistent. Soils with greater potential for leaching are not good targets for fall sulfur application for sources that contain sulfate. Sulfate will move in the soil profile and soils with medium to coarse texture are not good targets for fall sulfur application. Fine textured poorly drained soils present less of a risk for leaching but still may require a spring application of S if fertilizer is applied in the fall. Sulfate sulfur presents the greatest risk for leaching. Elemental sulfur does not leach but it is difficult to predict the oxidation of elemental sulfur to sulfate. Oxidation is a process by which soil organisms convert elemental S to sulfate. The process requires moisture and is affected by temperature. With elemental S, you face less risk for leaching loss, but there may not be enough sulfate available in the spring when the plant needs it most. The weather significantly impacts sulfur availability. When applying in the fall, evaluate past results to determine the best course of action in future years. If plants are consistently S deficient in spring after a fall application, consider switching to all spring application or changing the source of S. Research has shown S deficiency can be corrected through the V5 growth stage in corn without a reduction in yield. Remember there are options with a spring deficiency that will still allow for maximum yield potential.